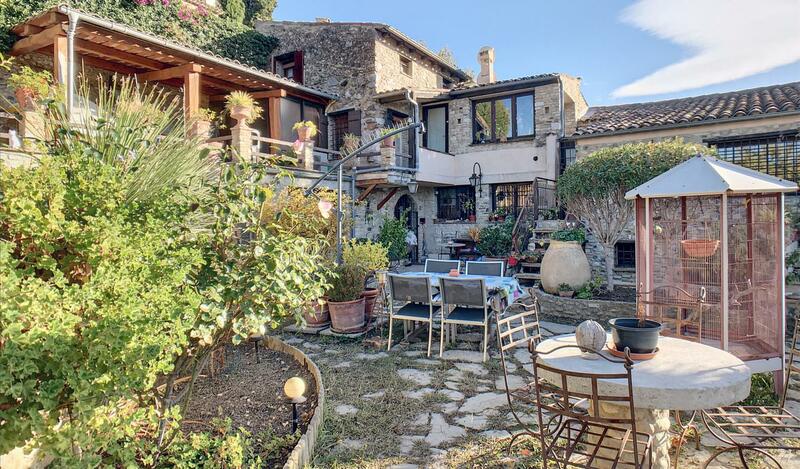 At the corner of a medieval village of Haut de Cagnes, charming house of about 120 m2. Living room with wood stove, independent kitchen. Four bedrooms including 2 communicating. 3 bathrooms. Outbuildings (approx 30 m2) add to the comfort of the house: laundry, workshop, cellar. Several outdoor spaces in the garden allow to receive and enjoy this rare property.